A technophile futurist turned into a musician, DJ / Producer / Sound Engineer Bitmarx is considered to be the underground house music&apos;s best kept secret. Behind the decks Bitmarx music is described as haunting, dark, hypnotic, emotional, deep and yet explosive but what sets him apart from other DJs is his mentality towards music: "It&apos;s not about what you play, it&apos;s all about what you refuse to play." To this day, Bitmarx has created a series of remixes for a varied and impressive range of artists such as Hernan Cattaneo, Steve Lawler, Tiefschwarz, Steve Angello, Booka Shade, Kaskade and Nic Fanciulli just to name a few. 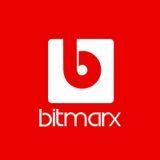 Bitmarx remixes have rocked the dance floors around world and have gained appreciation from superstars such as Dean Coleman, house music icon Satoshi Tomiie and techno pioneer Richie Hawtin.